Oshawa’s Downtown revitalization project is an ongoing venture, one that has some starts and stops (as do most worthwhile projects) but it is exciting to watch. In the past three years I’ve worked at the RMG, I’ve seen dramatic change. In this post, I thought I’d share a to-do list for events this coming weekend in the downtown area, all free to attend, all artsy, and all incredible opportunities to participate in the transition of this community. Friday evening from 5:30-7pm, drop into CORE21. This new co-working space is the result of many years of discussions around arts incubators and collaborative work spaces, with participation from many community stakeholders and the City of Oshawa economic developers. 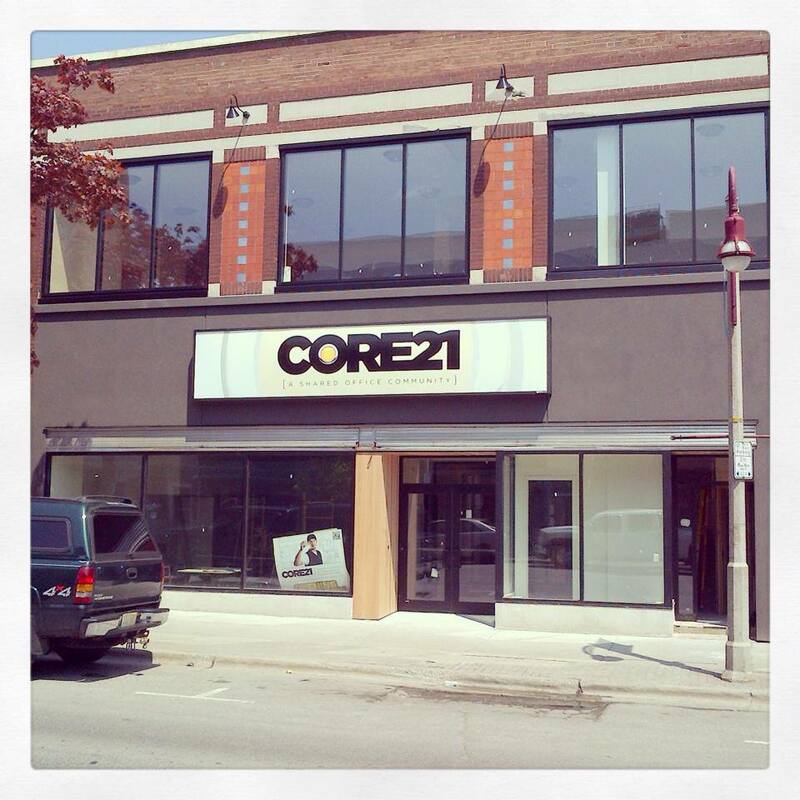 After an extensive renovation to the former Honest Way department store, CORE21 is opening its doors for guided tours to the facility on Friday. While there you can enter to win a 25 Hour, One Month Co-working Membership. Check out the facebook event for CORE21. The draw for the CORE21 membership will happen at RMG Fridays, our monthly event held here at the RMG from 7-10pm. This event is themed “Welcome Summer”. It will feature live musical performances by Tim Watson and The Coachlites. I realized just today that The Coachlites are named after the Coachlite Roller Gardens, a roller skating rink downtown Oshawa. Have a listen to their debut performance this week and decide for yourself if the name fits! This event also celebrates the opening of two new art exhibitions, we’ll have interactive augmented reality posters from the War of 1812 Oshawa Project, and we’ll be talking about our Vintage Oshawa: Summer in the City project as well. It will be a busy and diverse night with an incredibly fun crowd. Remember, there’s a cash bar! Check out the facebook event for RMG Fridays. Check out the webpage for RMG Fridays. 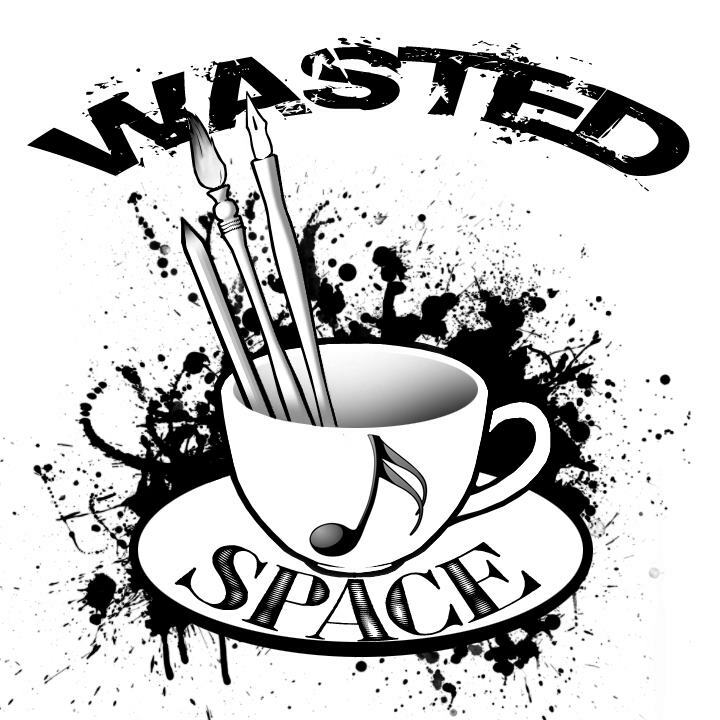 After RMG Fridays, if you’re interested in seeing more art happening in the community, visit Wasted Space. It is a new art cafe and lounge located just a short walk from the RMG at 74 Celina Street. This comfortable venue is decorated with art by local artists, a plethora of lava lamps, and comfortable sofas. Chantelle Lacoursiere is showing her artwork there on Friday, and they’ll have live music, a DJ, and finger foods to keep your energy up. This is a licensed venue. Check out the facebook event for this opening. Become a fan of Wasted Space on facebook. Saturday is the start of the Oshawa Valley Botanical Garden’s Annual Peony Festival! I’ve been told the peonies are perfectly timed this year and will be spectacular on the weekend. With over 300 varieties to view, this is the 9th Annual event, and it runs 10am to 4pm both Saturday and Sunday at 155 Arena Street. This festival was voted one of Ontario’s Top 100 Festivals and Events! 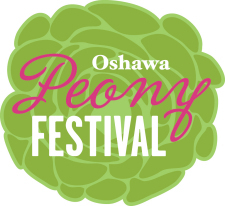 Learn more about the Oshawa Peony Festival. There is also a Bomb Girls Garden Party at Parkwood Estate as part of the festival! Sneak peek of Foreclosure at The Vault. Photo by Will McGuirk. After a stroll in the gardens, stop by a new collaborative art space downtown Oshawa called The Vault. Located on the site of a former bank, the space became available to the Oshawa arts community when landlord Zal Press contacted City Hall to inform them he wanted to open the space to local artists. 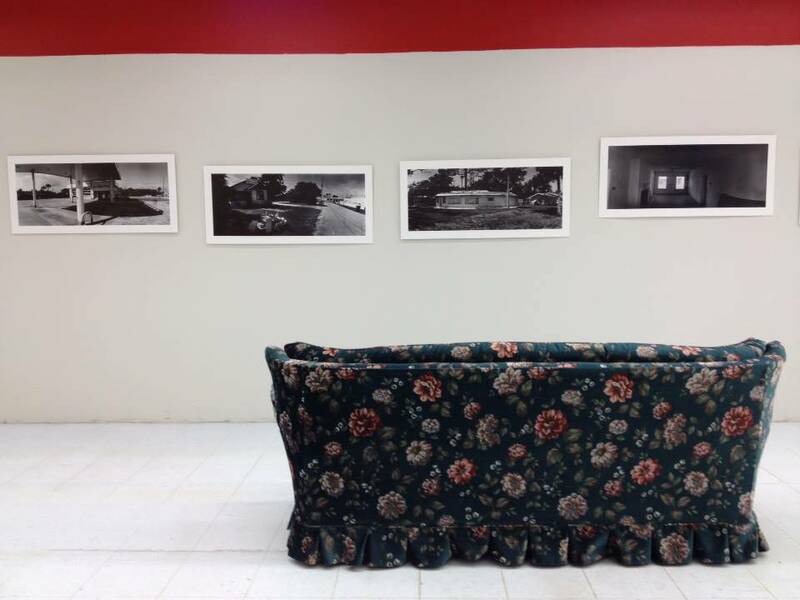 Opening at 1pm on Saturday, Transition Saturday will have a featured exhibition titled Foreclosure by Mike Berube, a photojournalist. Other artists participating in the show are Jay Dart, Dani Crosby, Grant Cole, Tammy Gay, Shannon Sosoon, Brian Vince, Steven Brown, Erica Podlowski, and Janice McHaffie. The event is at 19 Simcoe Street North and is a fundraiser for Feed The Need. Non-perishable food items will also be collected at the door. Read more about Zal Press and his desire to ReNew Oshawa. Check out the facebook event page for Transition Saturday. 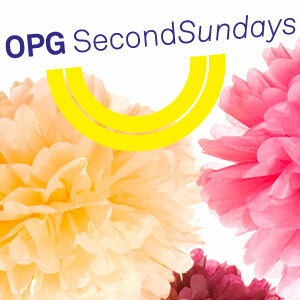 Sunday the RMG hosts OPG Second Sundays. This is a monthly event for families of all kinds and sizes. Drop into the gallery from 1-3pm, explore our exhibitions, and try a hands-on art making activity! This month, inspired by the exhibition Falling in Place and the Oshawa Peony Festival guests can build their own cities and imaginary worlds in full bloom while making big beautiful paper peonies. This monthly series is generously sponsored by Ontario Power Generation. Learn more about upcoming OPG Second Sundays. Sunday will be a busy day downtown Oshawa as the Peony Festival continues. Parkwood Estate’s Bomb Girls Garden Party continues to rage throughout the weekend! Pride Durham is a non-profit organization that hosts Pride and social events in Durham Region. 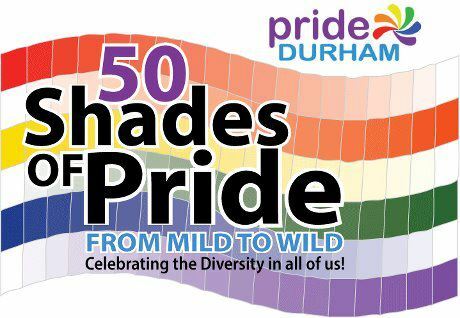 Sunday 9 of June is the final event in Pride Week, which includes the 3rd Annual Durham Pride Parade. The parade travels through the downtown area travelling on Centre Street starting at 2:30pm. Get more details about this year’s Pride festivities at the website. Become a fan of Pride Durham on facebook.